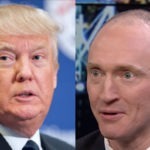 If you’ve watched Donald Trump’s Russian-connected campaign adviser Carter Page in recent television interviews and concluded that he might be a mere patsy or stooge in the scandal, it turns out there’s a Russian spy who agrees with your assessment. In fact that spy is openly gloating about how he recruited Page and then took advantage of him, by offering him things he had no intention of ever delivering on. By that time Carter Page had already spent a few years working for Merrill Lynch in Russia, before coming back to New York City to launch his own company with the aim of collaborating with Gazprom. Page’s timeline is somewhat murky in the few years prior to the 2016 presidential election cycle. But as Palmer Report has previously reported (link), then-Senator and current Attorney General Jeff Sessions first introduced Carter Page to Donald Trump in March 2016, and at that point he became a Trump campaign foreign policy adviser.